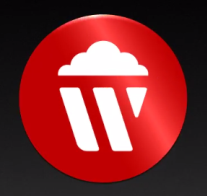 Wuaki.tv, the movie and TV series streaming service, saw significant company growth in the UK during 2014. Wuaki.tv now has over 400,000 registered users in the UK as of December 2014, a 220 per cent increase over the last 12 months. Company revenues have also increased 212 per cent during this period. Wuaki.tv has also grown at the global level, following further expansion into Europe during 2014. The total user base now stands at 1.85 million, an 85 per cent increase over last year, and global turnover has increased by 90 per cent. The huge growth has been driven in part by the proliferation and consumer adoption of Smart TVs. Smart TVs continue to be the main device of choice for Wuaki.tv customers streaming movies and TV series, with almost 40 per cent watching content on their big screen. However, other gadgets are proving popular as more people get used to streaming content on multiple devices. Over a quarter, 28 per cent of Wuaki.tv users stream to smartphones and tablets, 21 per cent stream direct to a web browser and 11 per cent to a games console. When compared to 2013, streaming to smartphones and tablets is far outpacing growth on other devices. The total number of movies and TV series streamed to mobile devices has increased by 305 per cent in the last year, indicating people are increasingly watching long-form content on a smaller screen. During 2014, Wuaki.tv focused on expansion into three new countries, France, Germany, and Italy, bringing a quality catalogue of blockbuster movies and locally-produced content to each market. Further expansion is planned in 2015 at the European level, and Wuaki.tv will launch in 10 new countries by the end of next year. Target markets include Austria and Ireland, where the company will launch in the first half of 2015.